Welcome to Spring Oaks where your Gated Piece of Country comes Alive! Custom Built with ALL the High End Perks! 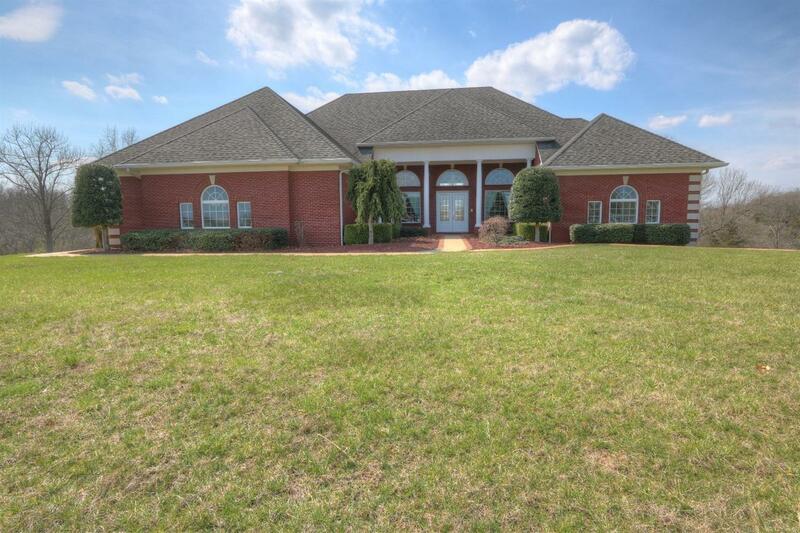 This Split Floorplan Ranch Features an Expansive 14ft Ceiling in the Great Room with 10ft Ceilings throughout. 3 Piece Crown Molding accent the spacious height throughout the Main Floor. Custom 8ft Solid Wood Doors lace the interior with Arched Door Entries. Solid Surface Countertop in the Kitchen is complimented by the Custom Cabinets with 24V Lighting. Each Feature was Meticulously Designed for Comfort, Relaxation, and Energy Efficiency. Master Quarters feature His and Hers Walk-in Closets, Custom Tile Shower, Jacuzzi Tub and Granite Split Vanities. Designer Kohler Fixtures used throughout. Central Vac, Water Filter & Softener, Alarm System, and so much more. Covered Patio Out Back has an Amazing View of the Pool and Countryside. 5 Car Garage boasts roughly 2300 sq.ft. with Workshop. That is just over 7, 500 under roof!